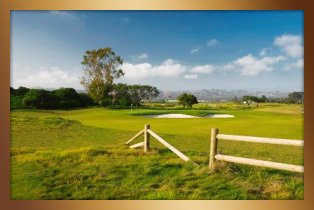 Olivas Links has been recognized as one of the Best Municipal Golf Courses in the Nation - by Golfweek Magazine. It is the ideal venue for your next corporate, civic or charity golf outing. Our experienced staff of golf professionals coordinate outings from a few players to 144 player shotguns and multiple day events. You can be sure your outing will be well-organized and memorable. Our course is capable of challenging the scratch golfer in your group, while providing fun and excitement for the novice player as well. 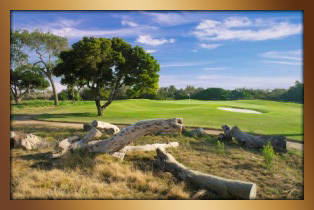 Olivas Links and Buenaventura Golf Course work closely to host multiple course events. Experience two different styles of courses with Buenaventura's tree-lined fairways at 6,000 yds and Olivas Links, a true links style course at 6,818 yds from the tips. With Ventura's cool coastal climate we will create a memorable multi-day event for you group. Or simply complete our Outing Info Request Form. "Over 135 golfers joined us for a day of sun and fun in support of a very worthy cause. This year's event raised over $35,000 for Ventura PAL...Without your help we could not fullfill Ventura PAL's goals of providing our community's youth with positive after school acitivies..." - Ofc. Ken Corney, President of Ventura PAL. "I just wanted to thank you again for including me in today's event. I was "wow"ed by the presentation and the smoothness of the day. Congratulations on such a successful day!!! --Best Regards, Derek"